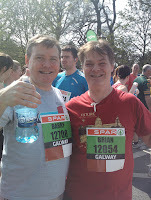 Today myself and my brother joined several thousand other athletes in the Great Ireland Run.The sunshine was glorious and it definitely was uplifting to see so many people of varying levels of fitness out in the open air enjoying themselves. 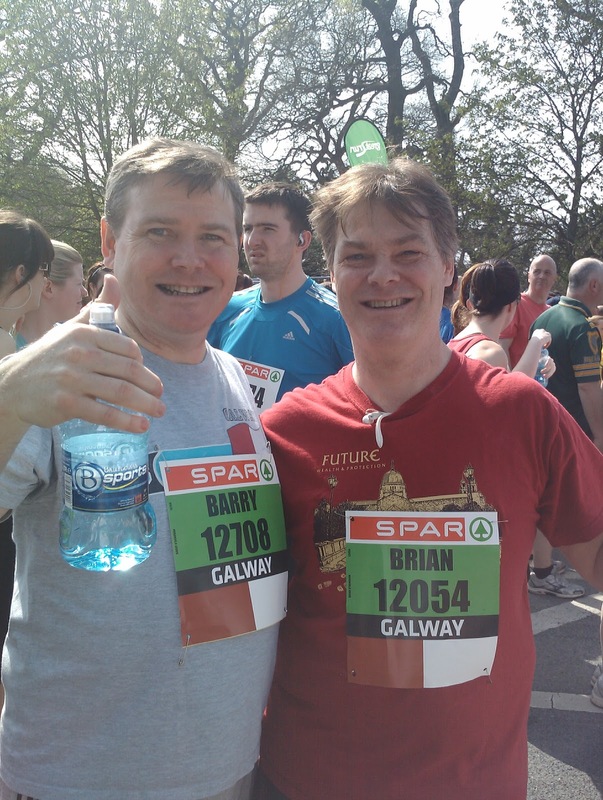 All credit must go to the organisers who did a great job - coordinating thousands of runners cannot be easy. According to the record I kept on my phone, I took 1 hour and 3 minutes for the 10km route. I started recording before I crossed the official start line, so my official time will probably be slightly faster. However, I don't think I achieved my personal goal of completing under the hour mark. I just got my official race time which was 1 hour 1 minute and 21 seconds. My race position was 4,823rd which doesn't sound great, but I came 241st for my age group and gender which is nice.